During impact, engineers believe the LADEE spacecraft, the size of a vending machine, broke apart, with most of the spacecraft’s material heating up several hundred degrees – or even vaporizing – at the surface. Any material that remained is likely buried in shallow craters. At the time of impact, LADEE was traveling at a speed of 3,600 miles per hour. 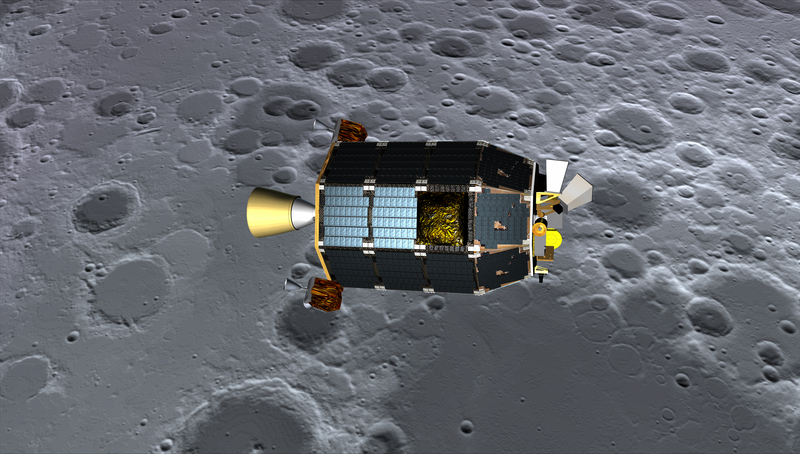 In the coming months, mission controllers will determine the exact time and location of LADEE’s impact and work with the agency’s Lunar Reconnaissance Orbiter (LRO) team to possibly capture an image of the impact site. A thorough understanding of the characteristics of our nearest celestial neighbor will help researchers understand other bodies in the solar system, such as large asteroids, Mercury and the moons of outer planets. Links: full NASA press release; NY Times article; LADEE mission homepage.